Welcome to the late summer season! As we move seasons we’re delighted to be able to offer new reduced rates and minimum stay. Our minimum stay has been reduced to 2 nights for the remainder of the year until the next summer season (with the exception of Easter long weekend)! Our rates for the new season until the middle of April are $239 per night, or $1,430 per week if booking for 7 days or more (15% discount!). See our pricing page for full rates and season times. The weather is still beautiful and there’s a fantastic new freeway that makes the trip even easier, so go ahead and treat yourself ! Come down and enjoy the sun while summer is still with us, its gorgeous down here at #HavanaInRye ! #Peninsula link to open this Friday, January 18! Toll free express motoring to #havanainrye ! For more info see the news release on the Linking Melbourne website ! 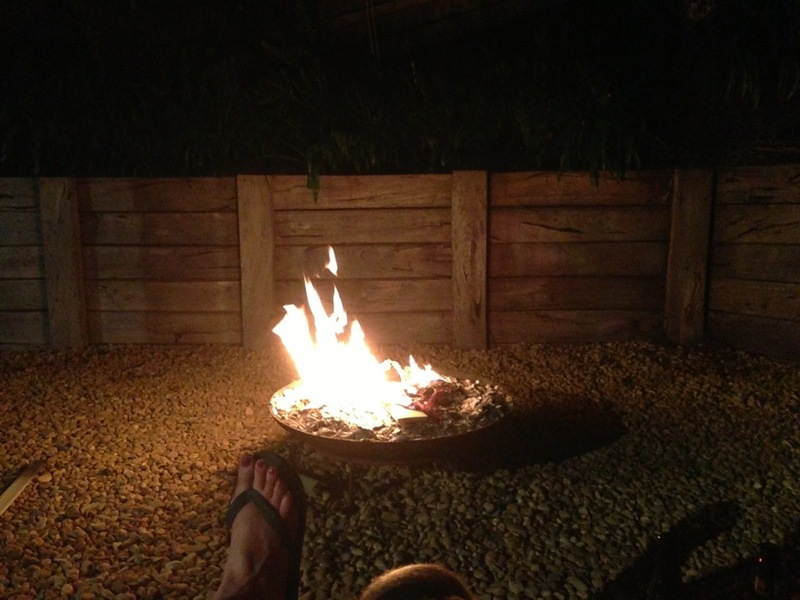 Loving the fire pit at #havanainrye ! Book now for the Australia Day weekend – $299 per night, 5 nights min stay. Free welcome pack! We still have availability for the Australia Day weekend at Havana In Rye ! Book now to take advantage of our luxurious accommodation and the generous outdoor entertaining area – not only do we have good sized deck out the back, but also 100m2 of undercover area to set up seating, tables, etc. We’re also putting in a brand new outdoor kitchen for you to use as well!! To add to your stay we’ll also throw in a welcome pack, including wine, nibblies and a surprise gift! 🙂 Contact us now via Twitter, Facebook or our web site! Everyone used to driving down the peninsula is no doubt eagerly waiting the opening of Peninsula Link. Scheduled for its grand unveil early this year we’re all eagerly looking forward to the significantly improved commute from Melbourne. No more congestion at the Frankston turn off or roundabouts to negotiate! Check out all the latest news on the Linking Melbourne site. Don’t forget to check out the Mornington Peninsula Pinot Noir celebration on Feb 8 & 9! The sixth Mornington Peninsula International Pinot Noir Celebration will be held 8 and 9 February 2013 at RACV Cape Schanck Resort. The PinotShowcase will also be held at RACV Cape Schanck on the following day Sunday 10 February 2013. The two days of Celebration include structured tastings with each session lead by a panel of Pinot producers, writers and thinkers and promises to inform and excite those participating. For more information on the event check it out on the MPVA website! Australia Day long weekend still open ! Dates are starting to fill up in January, so anyone interested please express your interest soon. We still currently have the Australia Day weekend open though ! We have finished our summer freshen up and are now welcoming our first guests of the season ! Hello everyone, we’ve finished our summer freshen up for our first guests for the season. In addition to the newly renovated lounge, kitchen and bedrooms we’ve finished the brand new bathroom! In addition to that we’ve also landscaped the grounds so our guests can make the most of outdoor living in the summer season. We think the place is looking fantastic and hopefully you all agree!